Saw this while visiting during the Lunar New Year. On the wall was this sign. O$P$. O$P$ stands for "Owe Money Pay Money". The owner at 05-169 most probably borrowed money from some loansharks and they are trying to demand money. 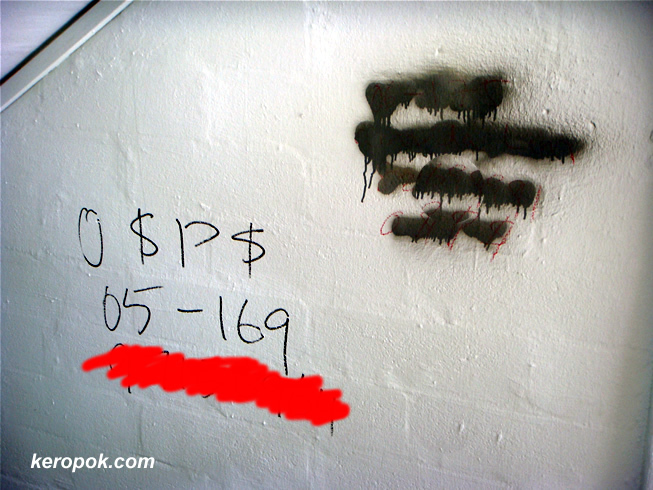 I added the red scribble to hide the phone number scribbled there. I thought that the red looked oddly intense.